Legal Updates on the Family Code Philippines and relevant matters: What happens in an annulment case if the respondent does not file an Answer? What happens in an annulment case if the respondent does not file an Answer? 1. The Family Court should not declare him or her in default. 2. The court must order the public prosecutor (fiscal) to investigate whether collusion exists between the parties. In most civil cases, when the defendant fails to file an Answer, the court upon motion by the complainant, may declare the defendant in default. In sports competitions, the team or player present is declared automatically as the winner. In our legal system, however, the complainant must still present his evidence, and the court decides the case on the basis of the evidence submitted. (2) If the respondent fails to file an answer, the court should not declare him or her in default. (3) Where no answer is filed or if the answer does not tender an issue, the court must order the public prosecutor to investigate whether collusion exists between the parties. Even before the Supreme Court issued this Rule, our laws prohibited declaration of default in legal separation or annulment cases. The Court in the case of Ancheta vs. Ancheta (G.R. No. 145370, March 4, 2004) chided the trial court judge and the fiscal for their abject failure to follow the proper procedures. Excerpts of this decision are posted below (emphasis by boldfacing supplied). Article 48. In all cases of annulment or declaration of absolute nullity of marriage, the Court shall order the prosecuting attorney or fiscal assigned to it to appear on behalf of the State to take steps to prevent collusion between the parties and to take care that evidence is not fabricated or suppressed. In the cases referred to in the preceding paragraph, no judgment shall be based upon a stipulation of facts or confession of judgment. Sec. 6. No defaults in actions for annulment of marriage or for legal separation.— If the defendant in an action for annulment of marriage or for legal separation fails to answer, the court shall order the prosecuting attorney to investigate whether or not a collusion between the parties exits, and if there is no collusion, to intervene for the State in order to see to it that the evidence submitted is not fabricated. The trial court must order the prosecuting attorney or fiscal and the Solicitor General to appear as counsel for the state. No decision shall be handed down unless the Solicitor General issues a certification, which will be quoted in the decision, briefly stating therein his reasons for his agreement or opposition, as the case may be, to the petition. The Solicitor General, along with the prosecuting attorney, shall submit to the court such certification within fifteen (15) days from the date the case is deemed submitted for resolution of the court. The Solicitor General shall discharge the equivalent function of the defensor vinculi contemplated under Canon 1095. This Court in the case of Malcampo-Sin vs. Sin reiterated its pronouncement in Republic v. Court of Appeals, regarding the role of the prosecuting attorney or fiscal and the Solicitor General to appear as counsel for the State. The trial court, abetted by the ineptitude, if not sheer negligence of the public prosecutor, waylaid the Rules of Court and the Family Code, as well as the rulings of this Court. The task of protecting marriage as an inviolable social institution requires vigilant and zealous participation and not mere pro-forma compliance. The protection of marriage as a sacred institution requires not just the defense of a true and genuine union but the exposure of an invalid one as well. A grant of annulment of marriage or legal separation by default is fraught with the danger of collusion. Hence, in all cases for annulment, declaration of nullity of marriage and legal separation, the prosecuting attorney or fiscal is ordered to appear on behalf of the State for the purpose of preventing any collusion between the parties and to take care that their evidence is not fabricated or suppressed. If the defendant-spouse fails to answer the complaint, the court cannot declare him or her in default but instead, should order the prosecuting attorney to determine if collusion exists between the parties. The prosecuting attorney or fiscal may oppose the application for legal separation or annulment through the presentation of his own evidence, if in his opinion, the proof adduced is dubious and fabricated. Our Constitution is committed to the policy of strengthening the family as a basic social institution. Our family law is based on the policy that marriage is not a mere contract, but a social institution in which the State is vitally interested. The State can find no stronger anchor than on good, solid and happy families. The break-up of families weakens our social and moral fabric; hence, their preservation is not the concern of the family members alone. Whether or not a marriage should continue to exist or a family should stay together must not depend on the whims and caprices of only one party, who claims that the other suffers psychological imbalance, incapacitating such party to fulfill his or her marital duties and obligations. Basically all non contested annulments are with the collusion of both parties. If the fiscal would really check there would be almost no annulments in the Philippines. So what we have is the Philippines version of divorce. What happens if I file annulment of marriage after I was granted Finality of Presumptive Death last year? I have been separated for almost ten years now. Two months ago, I found out where he is. How long does it take for annulment to get done? You are now in bad faith since you already know that your husband is still alive. Article 44 of the Family Code provides for the consequences when the parties to the subsequent marriage are in bad faith. As to declaration of nullity, please read the Frequently Asked Questions section of my Family Matters website. i just have a question regarding annulment. i am married in philippines for almost 7 years. since i came back here in US, wala na kaming communication ng husband ko. 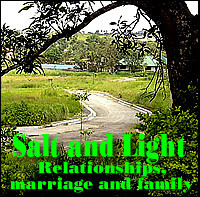 i was married January 2003, after a month parang nawalan nako ng gana sa asawa ko. para sakin, parang pinilit ko lang pakasalan yun tao dahil ayaw akong pabalikin sa US kung di ko daw sya pakakasalan. so my question is, pano mabo-void yun kasal namin kung 7 years na kaming walang communication and hindi ko alam kung nasaan na sya. and how long will it take to file annulment? do i need to be there? pano ako magpa-file kung di ko naman alam kung nasaan yun tao? please help. 1. Please read my post “If husband and wife have not seen each other for more than seven years, does it mean that their marriage is already void?” (look for the link in the sidebar). The absence or lack of communication for several years does NOT terminate the marriage or make it null and void. 2. The petition for declaration of nullity (or of declaration of presumptive death for purposes of remarriage) to be prepared by your lawyer will indicate the last known address of your husband. If your husband’s family or relatives at the last known address accept the summons of the court, then the case will proceed. If there is no one at that address to receive the summons, then your lawyer will ask permission of the court to publish the summons in a newspaper of general circulation. Then your lawyer will present the proof of publication to the court and the case will continue. While the petition can be prepared here in the Philippines and can be signed by you over there in the US, you have to be present here in the Philippines to give your testimony. Hi! may tanong po ako regarding annulment. My wife filed an annulment case against me. I did not answered the courts summons kase I think na better mapunta ung pera para sa pagaaral ng 2 bata. Now she is in singapore working and threatens me that if I go back to manila she will not think twice to file another criminal case of abandonment kapag hindi daw ako magbibigay ng pera sa kanya. ako ang nagbabayad ng tuition fees ng mga bata sa school. I ask somebody to pay their fees on my behalf dahil ayaw ko ipadaan sa kamay nya. Sa ganitong paraan nya ako tinatakot at blackmail palagi. Ongoing ang case at meron syang partner for quite sometime na rin. Alam din ng mga bata kung sino ung partner ng nanay nila. Pano ko matitigil ung blackmail nya sa akin habang nasa court na ung kaso? Need ko ba magcounter file din ng annulment pero gusto ko na ma-annul ung marriage namin pero lagi nya sinasabi pagkatapos ng case magfile naman sya ng criminal case against me for abandonment. hindi ko naman tinatakasan ung obligasyon ko sa mga anak ko pero wag naman peperahan lang ako na ganun lang. Isa pa po. kung granted na ung annulment pwede nya ba ipaampon ung mga bata without my approval? I sense yun ang gagawin nya kase ung boyfriend nya ngayon ay from the States. Waiting lang sila for the annulment and after ma grant ung case on her side peperahan naman nya ako. Ma-annulled na ung marriage pero ginagatasan pa din ung bulsa ko. Tulong lang po. thanks. You can find out if your husband has really filed a case against you from the OCC (Office of the Clerk of Court) of the Regional Trial Court in the Hall of Justice of Pasig City. If there is a case against you, then you will have to retain the services of a lawyer to defend you. You have the options of filing countercharges against your husband under RA 9262 for his failure to provide support for your kids (please read my RA 9262 posts; look for the links in the sidebar). 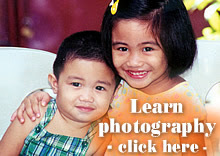 You can also try asking for help from the Integrated Bar of the Philippines (IBP) chapter offices in your town or city. The IBP chapter offices are usually located in the Hall of Justice. For Pasig, the IBP chapter office is located in the Rizal Capitol Compound (Kapitolyo). Besides the IBP, you can also try to ask for free legal help from the OLA (Office of Legal Aid) of the UP College of Law in Diliman, Quezon City. The San Beda College of Law in Mendiola, Manila also has a free legal clinic. im sure you are aware of no show no contest cases of annulment. when a decision is made..valid na ba ito?may chance pa ba na maghabol yung nde nakasapagsubmit ng affidavit?i know you have said something about non contested annulments.but what if the case is there is no collusion between parties however the other party doesnt know that she is being contested for annulment?what are the possible consequences now that the decison has been made.marriage according to NSO records is null and void.thank you. If the respondent (the party against whom the petition for declaration of nullity) is filed received the summons, then the court can proceed with the hearings even if the respondent did not file his/her Answer. If the respondent however can prove that he/she never received the summons OR that there was fraud in the service of the summons, then the court never acquired jurisdiction over the respondent. The court’s decision can be questioned; depending on the circumstances, the respondent can resort to Rule 37 New Trial, Rule 38 Relief from Judgment, or a petition for certiorari. One immediate thing that can be done (if there is fraud) is to file a complaint against the judge with the Office of the Court Administrator, Supreme Court, Padre Faura, Manila. There has been fraud in petitions for annulment/declaration of nullity. The Supreme Court in one situation about two years ago cancelled all decrees of annulment/declaration of nullity issued by a judge in a southern province. It seems that this judge issued these decrees without the proper service of summons or without conducting hearings. Your lawyer can request or the judge himself can require the Office of the City Prosecutor to assign another fiscal to the court. Our courts also follow what is called the “pairing system” (if a judge or fiscal is absent, the pairing judge or the pairing fiscal can take over). atty. pano po kung ayoko n tlga sya mkita, what will happen po sa case?? If you do not appear during the hearings, the judge can dismiss the case for “lack of interest” or for “failure to prosecute”. Good day Atty. Galacio. As I have read the discussions here in this site, I've learned that a divorced Filipino who happens to be a Naturalized citizen of a another country at the time the divorce has been granted can remarry here in the Philippines if he or she is issued a Certificate of Legal Capacity to contract marriage. But what if the divorce is granted at the time that he or she is still a Filipino citizen and both of the parties are Filipinos and are living in Canada? Will the person who filed for the divorce can obtain the Certificate of Legal Capacity to contract marriage here in the Philippines if he or she decides to remarry in the Philippines? Otherwise, does he or she will have to file a petition for annulment here in the Philppines even if both parties are still living abroad? What if after the divorce has been granted the time both parties are still Filipino citizens and the one who filed for divorce remarries another Filipino citizen in Singapore? Will that marriage be valid and recognize in the Philippines? How can that marriage be registered in the NSO if that marriage was solemnized in Singapore? I would really appreciate your answers to all of my questions.Thank you Sir and have a nice day! "may kaso po bang libel o slander kapag nag bigay ng diagnosis ang isang psycologist kahit hindi nya nakikita ung patient para sa petition ng annulment?" In simple terms, the psychologist is not required under the rules of the Supreme Court to conduct a psychological examination of you. You will find it difficult if not impossible to charge the psychologist with libel or slander. Please read my post titled “Divorce obtained abroad by a Filipino not recognized here” (look for the link in the sidebar). As I discussed in that post, a divorce obtained abroad by a Filipino citizen will not be recognized here in the Philippines. If this person wants to remarry, then he/she has to file a petition for declaration of nullity of the marriage. This means that the person (the petitioner) has to come back here to the Philippines for the hearings. Under the Supreme Court rule, the petition can be prepared by a lawyer here in the Philippines; it can then be sent abroad to where the petitioner is living; the petitioner signs it before the Philippine embassy or consular officials; the petition is sent back here and filed with the courts; the petitioner has to appear during the pre-trial conference and during the hearings where his presence or testimony is needed. The usual procedure is that these documents are submitted to the Philippine embassy or consulate which then forwards it to the NSO. ayoko na sa asawa ko hindi ko na kaya ang ugali niya minamaliit niya ang pagkatao ko.pinakasalan ko siya dahil binantaan niya ako mgpapakamatay siya pag hindi ko siya pinakasalan isa pagna rason bakit ko siya pinakasalan ay dahil sa anak namen.5taon kaming livein partners at 2taon na kaming kasal pero 1 taon lang kami ngsama bilang magaswa tiniis ko ang mangmamaliit niya sakin at kung ano-anu pang paguugali niya na hindi ko kinakaya hindi na rin niya ako sinisipingan sa kama dahil meron siyang problema. niloko niya ko bago kami kinasal pero tinagap ko parin iyon dahil sa pananakot at yung anak nmen. pagkatapos na pagkatapos nmen ikasal lalong lumala ang kanyang paguugali ni ang pagsilbihan ako hindi niya magawa. sapat na bang rason ang mga ito para maaprobahan sa court ang annulment nmen?